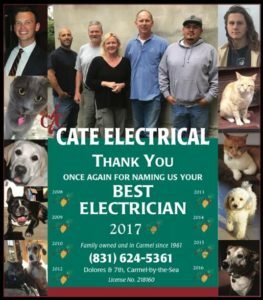 Cate Electrical Co., Inc. | Electrical Contractors. Family owned and operated. 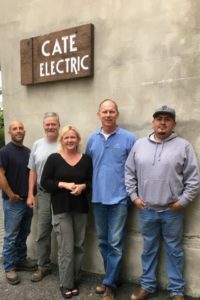 With a big, friendly dog named Texas as its mascot, Cate Electric Company carries that friendliness through to its customers who sing its praises. 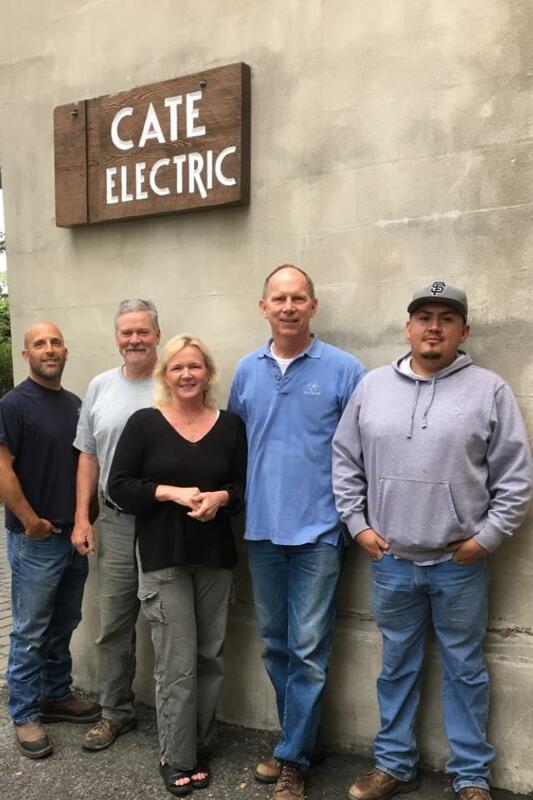 Customers often comment on the genial attitude, professionalism, promptness and fairness of Cate’s electricians. The company has been in business in Carmel since 1960, and it continues to bring the latest and greatest of the industry to all its jobs, residential and commercial. 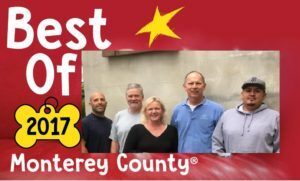 We have won Best Electrician from the Carmel Pine Cone four years running. For more than five decades, this family-owned business has been committed to the local community. But you sure can’t say they’re stuck in the past — they highlight current projects like the Tuck Box and Folktale winery on their Facebook page! We specialize in customer service from service calls to home remodels to landscape lighting and more. Electrical Contractors. Family owned and operated. Please Like our FaceBook Page too!